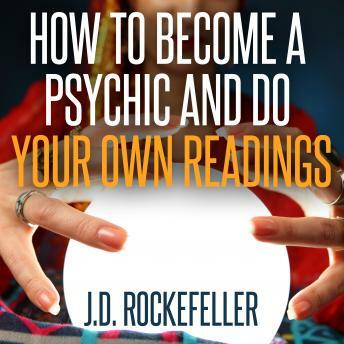 Are you looking to improve your psychic abilities? Do you want to know the best course for your life in areas such as career and relationships? Instead of going to another psychic for a reading, would you like to do your own reading by tuning in to your own intuition and getting in touch with your own spirit guides? Maybe you would also like to do readings for others and even make it a profession? Maybe you would like to develop your psychic abilities and help yourself and others find the best course of action for your lives? The aim of this audio is to help beginners get started with the development of their psychic abilities. You will learn about the things you need to do center yourself. You will know how to connect to your spirit guides. Which tools should you be using - or should you not be using any? How do you go about choosing the tools of divination? You can do your own readings and resolve any confusion you may have about your career, finances, or relationships. You can help guide your loved ones, your friends, and your colleagues as well. You could make it a profession and become popular diviner in your neighborhood. So, let's just get started!